I loved Lamb’s work in the 90s. The combination of Louise’s voice and the skippy beats worked brilliantly. But I haven’t heard their work since they reformed. 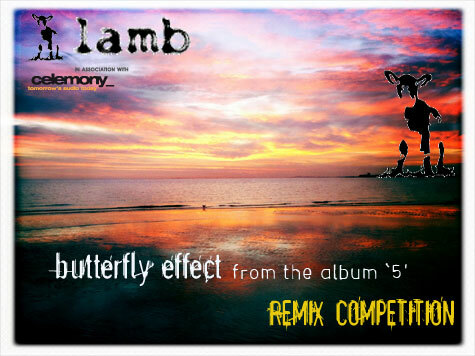 But they do have a remix comp going on at the moment for a track from their latest album 5. Here’s a remix by Tomoroh Hidari. Listen only. The remix is in an ambient style, very slow and treacly on the beats. Goes for a minimalist background, allowing the vocals to take most of the strain. Nice. ~ by acidted on March 9, 2012.